← How I spent my summer vacation. I DID IT! I DID IT! I DID IT! After a slow and steady 10 months of 5Ks, I am proud to report that I have finally graduated. My diploma? 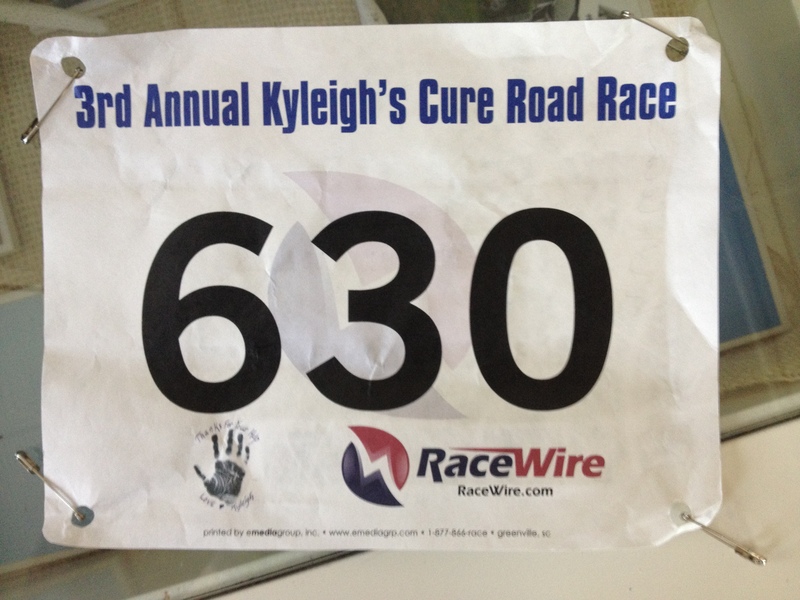 The race bib from my first 10K! I was really, really nervous going into the race. 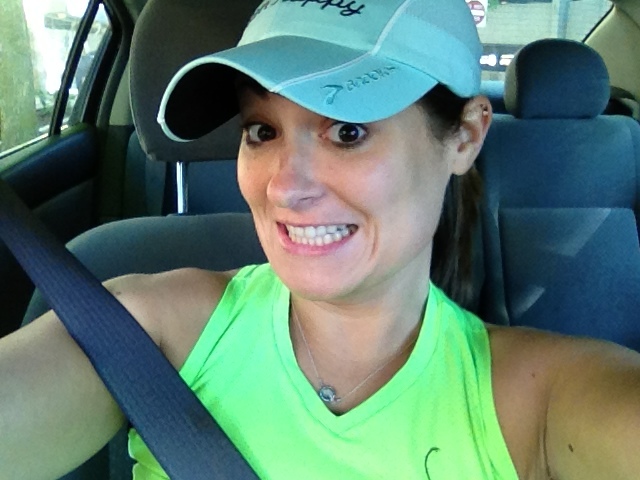 Like “Hi- my name is Kathleen and this is my first time running” nervous. 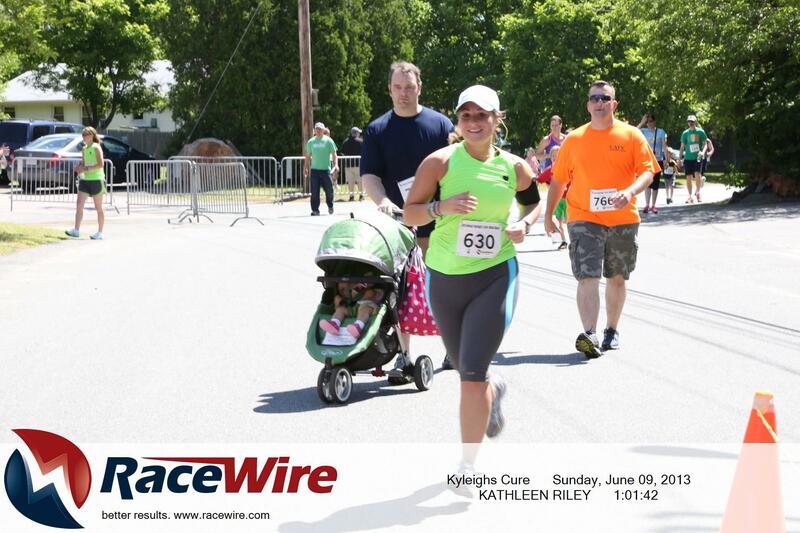 My 6 mile training run last Saturday (Who expects a heat wave the first weekend of June in Massachusetts?) did not go any which way of what I hoped it would- so there was a pretty big question mark hovering over my results. All the runners started out together, and for the first mile my nerves calmed down. My friends were around, I was tripping over strollers and kids…it felt just like any other race. And then I saw where the road parted: an arrow pointing one way for the 5K, and another for the 10K. My brain was quick to say “5K! Stay to the left! It’s easier! It’s safer!” for the 5K route was normal, it’s what I know I can do, it’s staying in my comfort zone. I looked over and gave a little wave to everyone going the other way, took a deep breath, and headed towards the 10K sign. No turning back now. Miles 1-3 were pretty easy, they were the miles that made me think “YAY! I love running!” The fun ended somewhere between 3 and 4 with our first big hill. Luckily I was with one of my favorite running buddies and side by side we dug in and made it to the top. I was gasping for air and trying not to psych myself out, and I remember being very proud of myself for getting my breathing back under control and my heart rate down. We had a countdown going for every mile that we passed, and when I finally saw the sign for Mile 5 I gave it a a big thumbs up and wanted to scream with excitement. This could ACTUALLY happen, I could ACTUALLY make it. I mean, what’s 1 more mile when you’ve just run 5- right? Unfortunately that one mile was the same route that I had fallen apart with during my race back in April. I saw that miserable hill ahead of me and thought “Sorry, not today.” Determined not to let it win me over again I pushed up the hill and just when I needed her, my trainer jumped in alongside me. We rounded the corner and when I saw my fiancee standing there- I knew I had made it. It’s amazing how much energy you can suddenly round up when the finish line is in sight. Crossing that finish line was like reliving my first race. I remember looking up just in time to smile at the camera, for I knew I wanted to remember this moment. Cruising into the finish line. And just like that- those 6.2 miles are done! By the time I went to bed that night my face hurt from smiling- I just couldn’t have been prouder of what I had accomplished. Proud that I only decided to train for this a month ago. Proud that I just had completely doubled my race mileage. Proud that I didn’t walk up either of those hills. Proud that I spent a race not worrying about my time, but just enjoying what I was doing. Proud that I was even out there running in the first place. We spend so much of our lives beating ourselves up for what we should have and could have done that when you actually take the time to stop and be proud of yourself- it’s an indescribable feeling. My race buddy and I with our giant post race smiles. 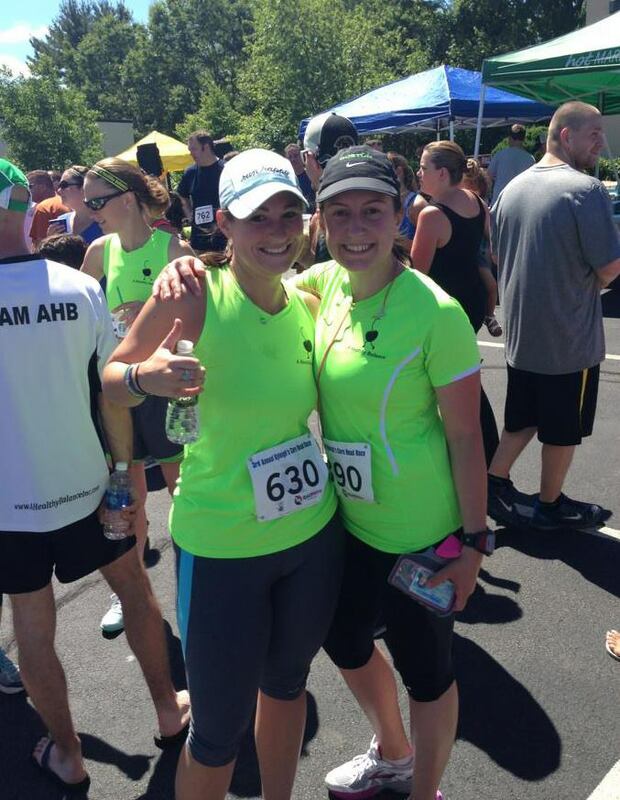 Posted on June 12, 2013, in Uncategorized and tagged 10k, 5K, challenges, comfort zone, goals, milestones, new things, running, self confidence, training. Bookmark the permalink. 15 Comments. i have four hills on my run and i can relate to how you felt during the race. it’s a great feeling to conquer those hills! the music helps a lot. Ugh, hills are the bane of my existence!! But If they make me a better runner- so be it. So stinking proud of you!!! I don’t know you personally, but I so enjoy reading about your triumphs – and those struggles along the way that make us all human. You have so much to be proud of – AWESOME JOB! Aww, thanks Jen…your words mean the world to me and thanks for reading along! That gave me chills and when you said you saw your fiancé my eyes watered up! Loved reading this story! Wow! What else is there to say?!?! ?